The Law Offices of Renon Warner, PLLC, is located at 2091 East Murray Holladay Road, Suite 20, Holladay, Utah 84117. The city of Holladay (population 26,472) is a suburb of Salt Lake City, Utah. Holladay is nestled between the township of Millcreek and the cities of Murray and Cottonwood Heights. 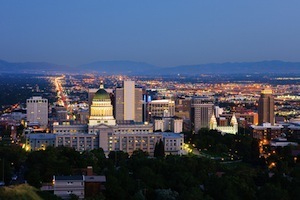 All are located within Salt Lake County proper. We serve the following localities: Salt Lake County, Cottonwood Heights, Draper, Kearns, Midvale, Millcreek, Herriman, Magna, Murray, Riverton, Salt Lake City, Sandy, South Jordan, South Salt Lake, Taylorsville, West Jordan, West Valley City, Davis County, Bountiful, Centerville, Clearfield, Clinton, Farmington, Kaysville, Layton, Syracuse, Woods Cross, Tooele County, Grantsville, and Tooele.